Anna Crosslin (left) and Betsy Cohen (right) address the decline of refugee resettlement in St. Louis. This year, the International Institute estimates the arrival of only 450 refugees arriving to St. Louis. That’s a sharp decline compared to the amount of refugee resettlement in previous years – 659 refugees in 2017 and 1135 refugees in 2016. On Wednesday’s St. Louis on the Air, host Don Marsh addressed the decline of refugees arriving to St. Louis over the past couple of years. 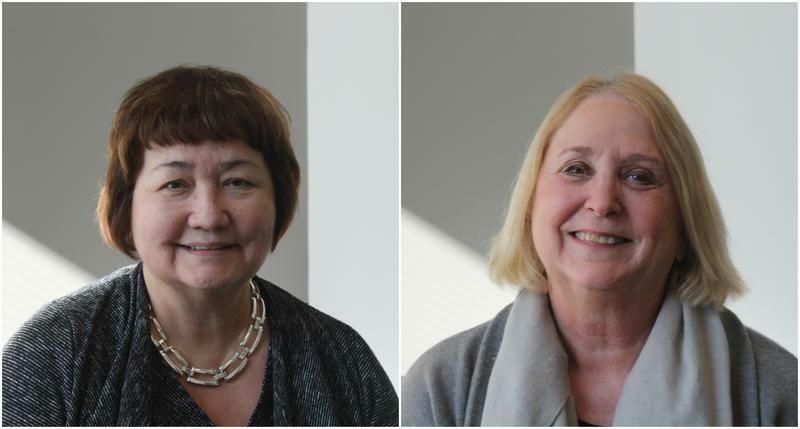 Joining him for the discussion was Betsy Cohen, executive director of the St. Louis Mosaic Project and Anna Crosslin, president and CEO of the International Institute of St. Louis. Crosslin said initiatives at the White House last year resulted in the sharp decline of refugees resettled nationally and in St. Louis. Refugees are part of a subset of immigrants arriving to the United States, who are admitted due to well-founded fears of persecution in their native countries. The president’s executive orders and various travel bans heavily impacted the International Institute’s refugee clients, where family reunifications are on hold. “For instance, the Syrians; we sponsored about 300 Syrians in  and those individuals were waiting for family members who are still in destitute situations and they simply can’t come at all,” Crosslin said. 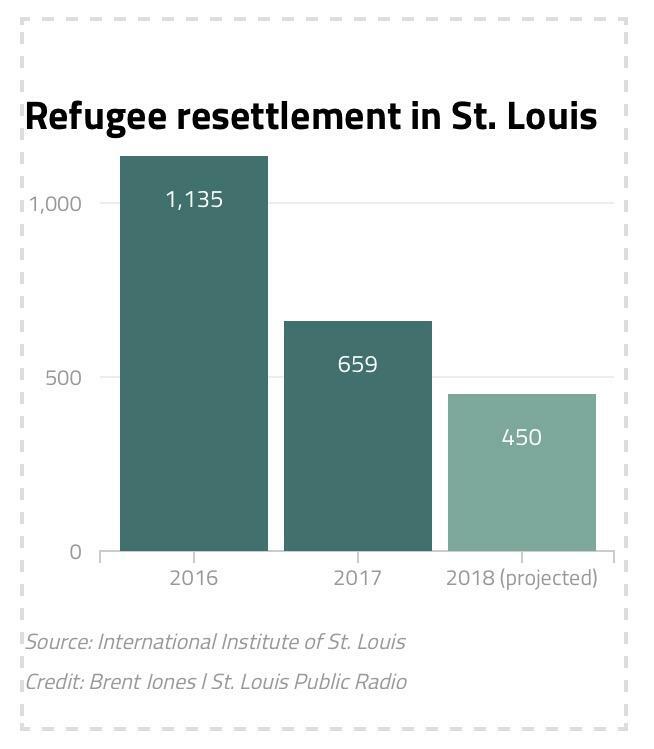 The cut back of refugees resettled in St. Louis slows down the Mosaic Project’s goal for the city to be the fastest growing major metropolitan area for foreign born residents by the year 2020. Cohen said the immigrant community provides vast economic opportunities for the region. She stated that immigrants are 30 to 50 percent more likely to start a business than the native born population. “Overall, [immigrants] are better educated, a higher percentage have college degrees and they create jobs, they don’t take jobs,” she said. Crosslin addressed the concern that refugee resettlement is a costly service. She said that “very little money” comes from the federal government. She said a family of four receives around $300 a month for eight months after they arrive. The stipend the International Institute receives to resettle the refugees for the first three months is $1,000 per person. “It’s not a luxurious amount of money,” she said. The refugees coming from overseas are also required to sign a promissory note that states they must repay their airline tickets within six months so that money can go into a revolving fund for other refugees. “There’s very little, if anything at all, in this whole process that is free for them,” Crosslin said.